Working with lower-order models can simplify analysis and control design. Simpler models are also easier to understand and manipulate than high-order models. 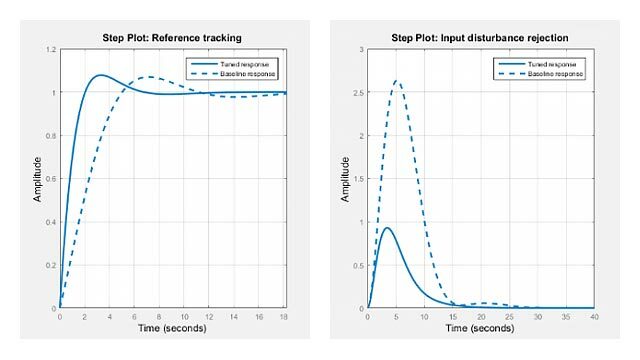 High-order models obtained by linearizing complex Simulink® models, interconnecting model elements, or other sources can contain states that do not contribute much to the dynamics of particular interest to your application. Use the Model Reducer app or functions such as balred and minreal to reduce model order while preserving model characteristics that are important for your application. For more information about ways to reduce model order, see Model Reduction Basics. Model-order reduction can simplify analysis and control design by providing simpler models that are easier to understand and manipulate. Interactively reduce model order while preserving important dynamics. Compute lower-order approximations of higher-order models using the balanced truncation reduction method in the Model Reducer app or at the command line. Reduce model order by canceling pole-zero pairs or eliminating states that have no effect on the overall model response. Reduce model order by eliminating poles that fall outside a specific frequency range. Examine and compare time-domain and frequency-domain responses of the original and reduced models.